5 years ago, the founding board of Fundacion Alto al Crimen recognized the need for a crime reporting hotline in Boquete. 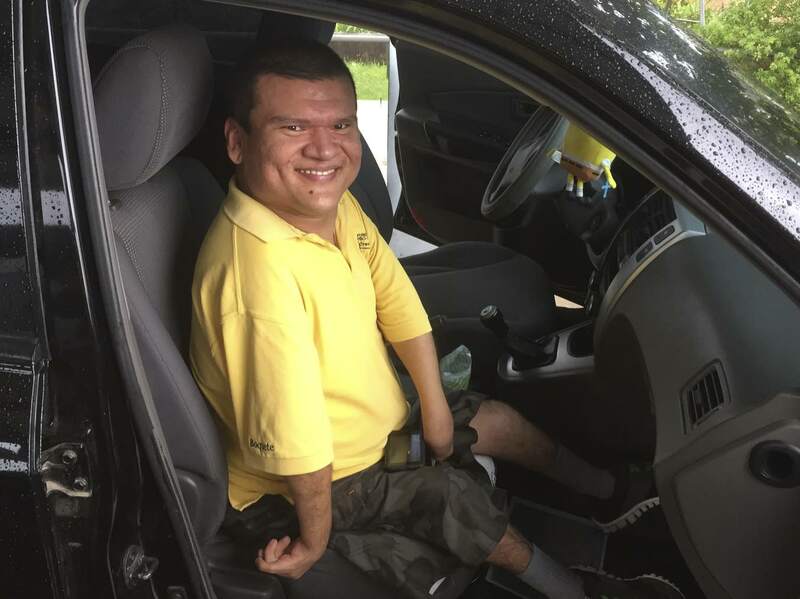 One of the board members, Bob Wolfe, identified Rodny Moreno at the Handicapped Foundation (Fundacion Pro Integracion) as a candidate. Boy was he right! Rodny has a congenital but not genetic deformity which caused his arms and legs to not develop normally in the womb. He cannot eat, drink, or scratch his knee without help. He requires full time assistance for his very life. And yet, Rodny never - ever - speaks of himself as disabled. 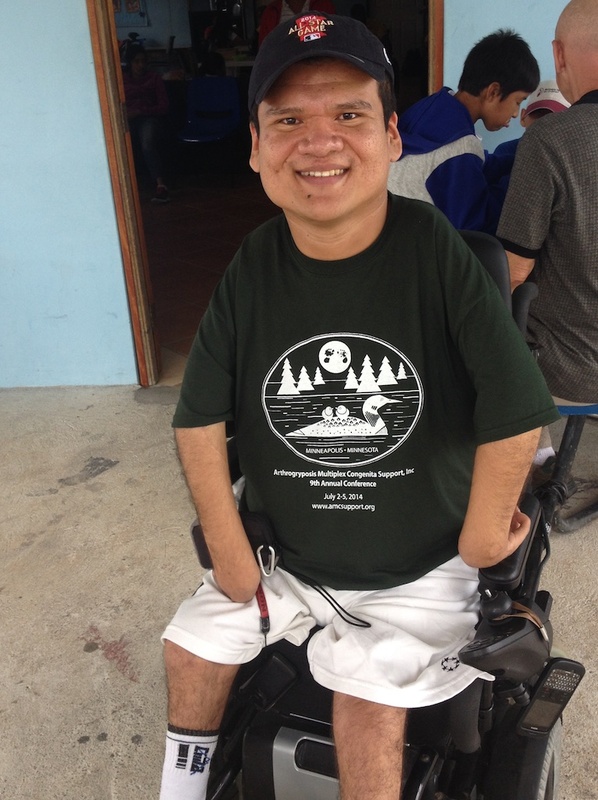 Taken to the US as a child by the Shriners, Rodny taught himself English and is fully bi-lingual. His small hands are just that - small. His dexterity is as good and anyone and he can use a cell phone and computer. I cannot imagine not being able to scratch my head, or swat a fly off my leg. Yet, I have never once heard him ask for help or complain about an itch. Rodny is a Zen master of self control. With his love of learning, patience and extraordinary self-control, Rodny unquestioningly took on the job of answering the Boquete Hotline 24/7/365. He taught himself computer and networking skills, database administration and dramatically improved his communication technology and techniques. Having established his bi-lingual assistance hotline in Boquete, Rodny expanded his services to the Volcan Assistance Line and then to the Coronado-based Neighbors Helping Neighbors organization, where he trained operators, created best practices and currently provides night time coverage for that area. Alto al Crimen in Boquete is funded by donations, while Volcan and Coronado charge a subscription fee, of which Rodny gets a percentage. The fee in Coronado is $120 per year per household, but includes additional services other than the Hotline. Now, Rodny Direct offers you this unique service directly. If you appreciate Rodny’s legendary and life saving service, now is the time to show your support by subscribing to the Rodny Direct Hotline - a state of the art professional resident information system - easy to use, always accurate and secure from hacking by criminals. Nothing you can buy for $80 per year will give your family more peace of mind. Rodny's full time life support system includes brothers and sisters and a circle of friends who are just like family. He is now taking his place as a productive member of his extended family. Copyright 2015-2019, Rodny Direct, S.A.